The portable Hidea HDF9.9 outboard motor is lightweight, compact, and powerful making it a great choice for short or long shaft jon boats, skiffs, and small pontoons as well as auxiliary power for your sailboat. 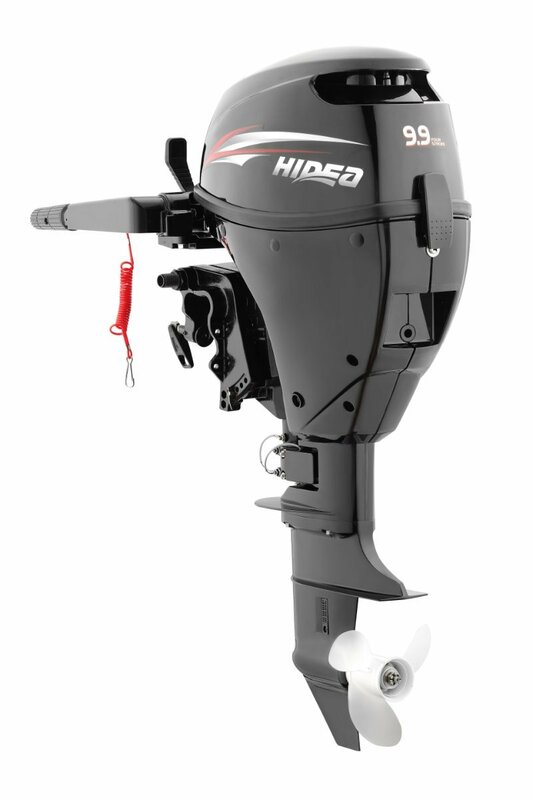 The Hidea HDF8 outboard engine is a two cylinderS four-stroke marine engine that delivers smooth, quiet, fuel efficient power. The Hidea F9.9 Outboard Model number HDF9H comes equipped with a manual start and 15 and 20 inch shaft, tiller steering, the electric start with remote control model also available for HDF8. Truly six layers of paint, good corrosion resistance. Using the US brand PPG paint, more beautiful exterior. Plus timer, maintenance more convenient.